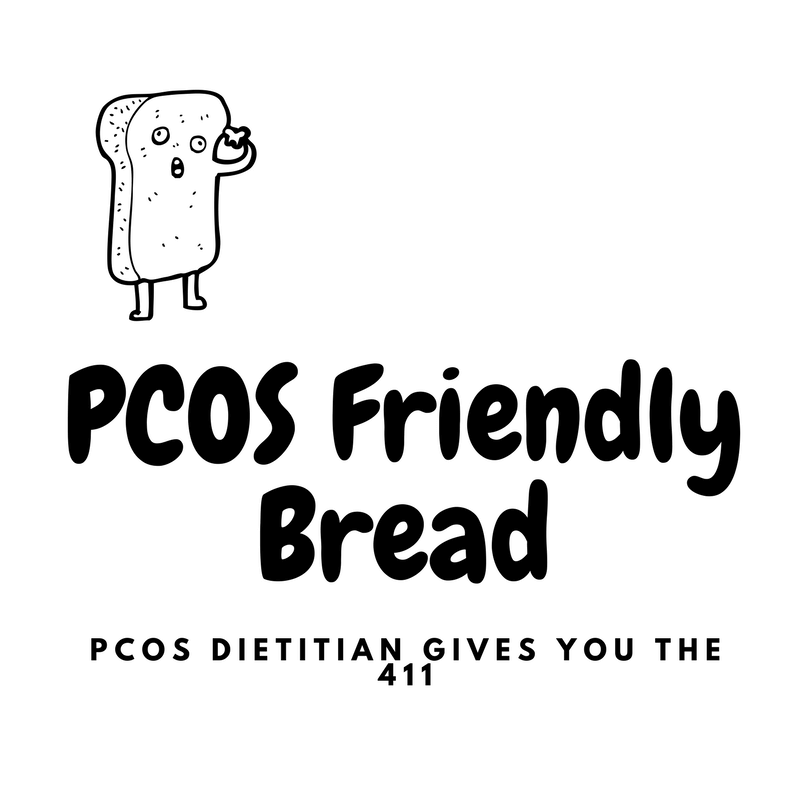 I know what you are thinking – the word PCOS and bread should not even be in the same sentence. But guess what? That is where you are wrong ‘cysta! I have been dying to share with one of my favorite PCOS friendly breads – Dave’s Killer Bread. Yup – I agree with you! Super, duper, cheesy name. But all situations aside I will let this goober get away with it as it just that good. I feel like I must have read a review about the bread a while back. Shopping at Shop Rite in Milford, CT a couple of weeks ago – the bread seemed to jump out at me. The label is memorable for sure! Most breads don’t have a long-haired dude strumming a guitar on the front of the package. SO I guess I am not super surprised I was drawn to it. Are you? Of course – being the foodie that I am — I needed to try it. So, of course I bought all three different types that Shop Rite had. Front of the label for Dave’s Killer Bread – go get yo’self some. 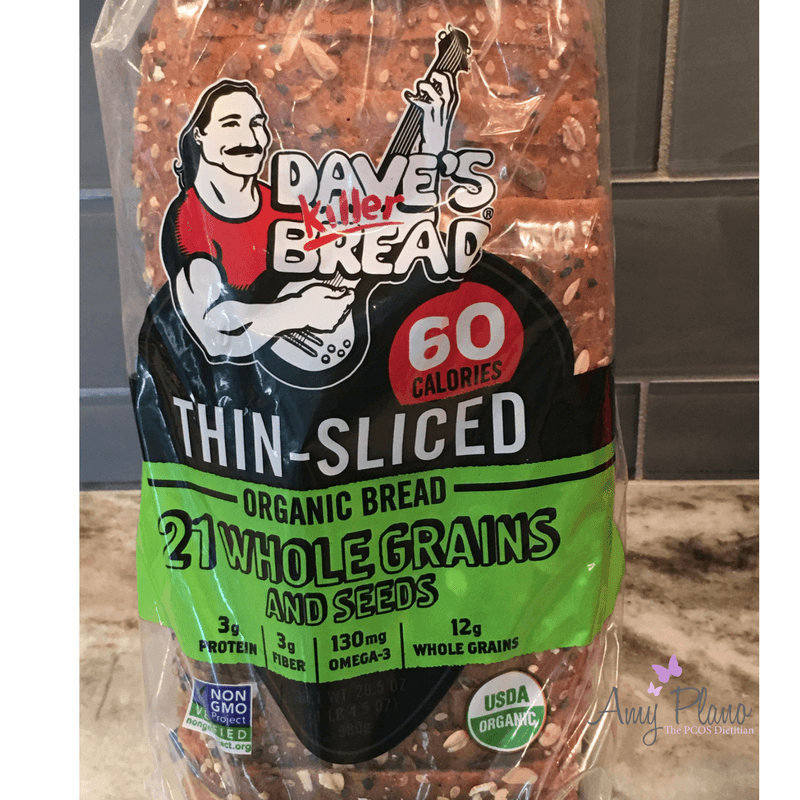 Independent of its taste – which I will get to in a second — Dave’s Killer Bread has several great characteristics that make it one the few PCOS friendly breads I trust. Number one, the ingredients are all high quality. They only use USDA organic ingredients. They also claim all their ingredients are made from non-genetically modified seeds. It is important to note that the label claim “Non-GMO”claim is not yet supported by FDA. However, usually a third-party does come in verify the validity of this claim. So, you have to give Dave props for going through all that effort to do this. Next, I promise, you can pronounce all the ingredients. In addition to being able to pronounce them – you easily can find what they are. I reviewed all the varieties of Dave’s Killer Bread and there was not one single ingredient I had to question. Below you can see the ingredients I took directly off a loaf of Dave’s Killer Bread – 21 Whole Grains & Seeds. Remember when purchasing bread you always want the word “whole” to appear within the first 3 ingredients. 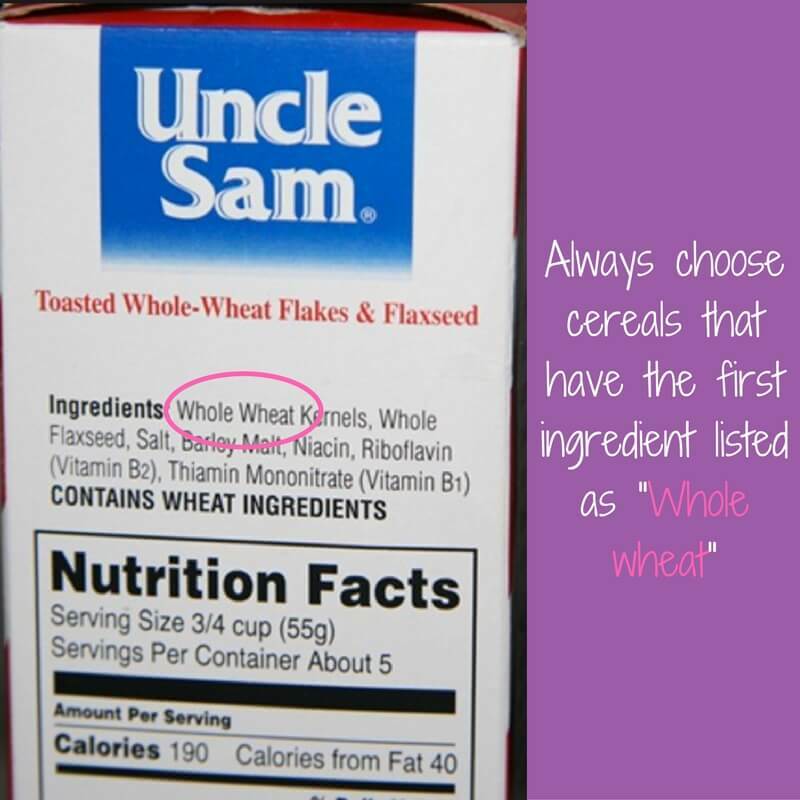 This signifies the ingredients are in fact made from whole grains and not processed. As you can see – this bread fits that criteria. PCOS friendly breads are hard to come by – but Dave’s Killer Bread makes it both easy and tasty to accomplish this task. Dave’s Killer Breads sells several different variety. But one of the things I like is there is an entire line of thin-sliced breads that deliver the same killer taste and texture in a smaller, lighter package. One slice of the regular bread has about 120 calories, 22 grams of carbohydrates, 2 grams of fat and 5 grams of protein. While the thin-sliced variety only have 60-70 calories (depending on which one you choose), 12 grams of carbohydrates, 1 gram of fat and 3 grams of protein. I know what you maybe thinking – how thin is thin? Not too thin – I promise. I often cringe when people tell me they eat “diet bread” (the first thing that comes to mind is Sara Lee – yuck!) that is paper-thin. Why even bother? Put that crap in the toaster for too long – and you have a three-alarm fire. That is not at all what I am talking about. In all seriousness, I did not even consciously buy the thin-sliced bread. I just bought what they had which happened to be the thin-sliced variety. I did not even noticed it was thin-sliced until it was all gone and I needed to go to the store to buy more! It was only then that I noticed that Dave even made what they would consider a traditional, thicker slice. I bought that too and it was as good – but not drastically different from the thin-sliced variety. So there is no need to “upgrade” to the big girl slice — unless you want the extra calories and carbohydrates. You know how much I love talking about the benefits of fiber for women with PCOS. If fact, I think my patients want to kill me sometimes when I hammer them about meeting their daily fiber targets. Which for most folks is a whopping 28 – 35 grams of fiber per day. The average women only consumes about 15 grams – 50 % less than what is required. And we wonder why we are hungry all the time!?! Not only does fiber help keep us full, it also helps control blood sugar by promoting the liver to release blood sugar more slowly. Given that women with PCOS are more likely than not to have issues with their regulation of blood sugar and insulin there is no reason they should not be meeting their fiber goals. Dave’s Killer Bread helps us get one step further to meeting our fiber needs. Each slice of Dave’s Killer Thin-Sliced Bread has 3 grams. So if you make yourself a pretty little sandwich you have yourself 6 grams of fiber. While, that may not seem like a lot – once you start adding all sorts of good-looking veggies to your sandwich you are well on your way to meeting your daily fiber totals. Round out the meal with some guacamole or humus with raw veggies and well what can I say – you’ve got yourself a nice high fiber meal. Does the word Omega-3s ring a bell? Remember a couple of weeks ago when we were chatting about all the amazing benefits of fats for women with PCOS? Well, if you missed it – or maybe just forgot click here to read more about PCOS friendly fats. Omega-3 Fatty Acids are a specific type of polyunsaturated fat that is essential to our body. This means our body cannot produce them – so we need to get them from the food we eat. Omega 3’s are most known for their role in reducing inflammation.Plus studies support that the right levels of Omega 3’s can reduce cholesterol, triglycerides and blood pressure, lowering your chance for heart attack, stroke or other cardiac event. Dave’s Killer Bread is one of the few breads on the market to actually contain Omega 3’s that I know of. I imagine other exists – they have just yet to cross this girl’s path! Each slice of the thin-sliced variety has 130 mg per slice. While there is no finite recommendation for Omega 3 intake, it is fair to say that more is almost always better. While we would love to see people eating fatty fish that has Omega 3’s, I think it is fair to say this is not happening. So if someone can squeak in some Omega 3’s in – especially in an assuming source such as bread – I am all for it. Top your bread off with some grass-fed butter (Kerry Gold is my absolute favorite!) or organic nut butter and you just jacked up your Omega 3’s without batting an eye. Boom! I admit it – I am a sucker for a anyone or company who gives back. I don’t care what you are giving back – whether it be shoes, money, time, hugs or just smiles I think it is just great when people try to make some else’s life better. Companies like Toms Shoes, The Company Store and Good Spread have a place in my heart. Not to mention amazing people like Theresa on Pit Bulls and Paroles who rescues and finds homes for thousands of pit bulls each year. It is amazing how selfless companies and regular people alike can actually be. Especially in this day in age when everyone seems to be drinking their own flavor of hater-ade. Well, the Dave’s Killer Bread company has an equally heart warming story. The company states that one in three of their employee partners has a criminal background. They even have a foundation for reducing the negative impact of mass incarceration and recidivism in America. Their foundation provides programs for businesses looking to adopt or improve these practices. I am mean honestly how cool is that? Now the moment you have all been waiting for – how does Dave’s Killer Bread taste? I think it tastes pretty awesome! If I were to use one word to describe the bread it would be ‘hearty’ yet not overly heavy and dense. Despite being a whole grain, Dave’s Killer Bread still retains a good deal of lightness. I found it soft with a very light sweetness. Obviously, depending on the variety you buy you may have more or less seeds. I found it was good on a sandwich and just as good on its own with butter or peanut butter. I even made French toast with it which came out quite awesome if I have to say so myself! But just a quick word of caution – do check the expiration dates. The first couple of loaves we bought were killer literally. But the second batch seemed a little dryer – if not slightly stale. A quick little pop in the toaster remedied that. However, I might pull from the back of the shelve as most stores likely do first in – first out placing the older ones in the front. So that’s a wrap for this week’s blog. Have you tried Dave’s Killer Bread? Or do you have a PCOS Friendly Bread you recommend? 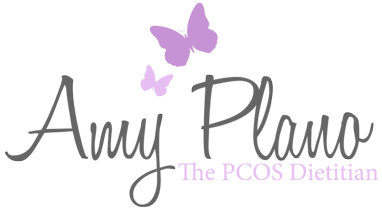 Please let our PCOS community know in the comments below. We would love to hear from you! 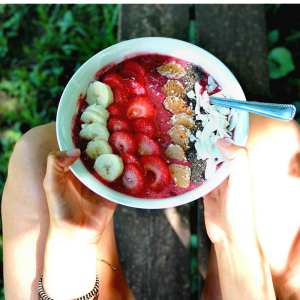 For someone with PCOS, you should aim for a breakfast with 30 grams of carbohydrates or less. In addition, you should do your best to include a protein source to help keep you full longer. Good protein sources include: greek yogurt, organic eggs, cottage cheese, whey protein, nitrate free turkey sausage or low-fat cheese) You don’t want to start your day off super carb heavy – as it will usually set the sluggish tone for the whole day. Plus, jamming down a pile of carbohydrates in the morning is not good for your blood sugar and insulin levels. Most of all, this only sets the scene for your blood sugar to come crashing down. We want to avoid this scenario at at any cost. Consequently, you are thinking – what the heck can I eat that is quick, easy, tasty AND PCOS friendly? Well the PCOS Dietitian is going to share some of her favorite breakfast choices that fit the bill. 1. Make a yogurt parfait with Greek yogurt and add a serving of fruit, nuts, and/or granola. Most of all when choosing yogurt purchase one with less than 15 grams of carbohydrates per serving. 2. Cottage cheese is a great source of protein. As with yogurt, you can add fruit, nuts or even chia seeds to create a more balanced meal. I personally love the Friendship brand. I recommend the 2 % or 4 % fat as they taste pretty awesome. 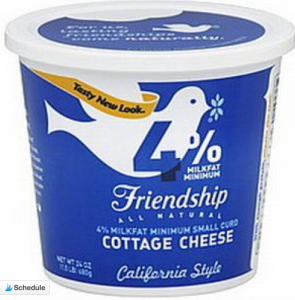 Friendship cottage cheese is my personal favorite! This is because it creamy and has a nice overall favor profile. 3. Make oatmeal (please, use old-fashion oats if you have the time!) and add a source of protein such as nuts, nut butters, protein powder, or milk. Thinking about other cereal choices but not sure where to turn? 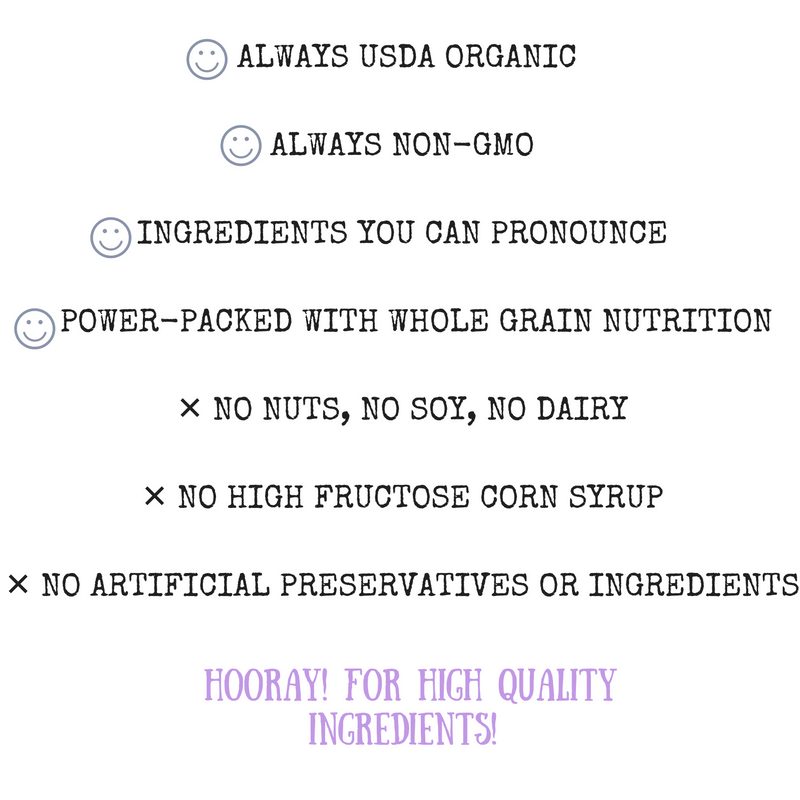 Check out this past blog on PCOS friendly cereal options. You can also have eggs on the side or scramble some directly into the oatmeal. 4. Have a protein shake. Blend together a small serving of fruit, milk or a milk alternative such as almond or cashew milk, and protein powder. Be creative with your combinations. because the sky is the limit with shakes. 5. Make a breakfast burrito on a low carbohydrate wrap with a couple whole (yes, eat the yolk – that is where all the good nutrition is!) cage free organic eggs, cheese, and tons of vegetables. You can even top of your master piece with a couple tablespoons of black beans, salsa and Greek yogurt to bump up the protein even further! 6. How about some tasty, high protein chia pudding packed with omega 3’s and tons of fiber? Check out this awesome chia pudding recipe here from last week’s blog! 7. Make a healthier eggs benedict on ½ whole wheat English muffin topped with vegetables such as steamed spinach and a poached egg. Rather than use regular bacon – swap it for Canadian bacon. You can get the same flavor without all the fat. 8. Omelets are a fun breakfast option. Be creative and add a variety of vegetables. You can also pair it with a side of fruit or toast – just not both! 9. Want something super quick and easy – try my recipe for Chocolate Chip Banana Greek Yogurt Muffins. What’s not to like? 10. Hard-boiled eggs are great for a quick breakfast. Pair them with a slice of whole-wheat toast with peanut butter or small grab and go fruit such as a small banana, small apple or pear. 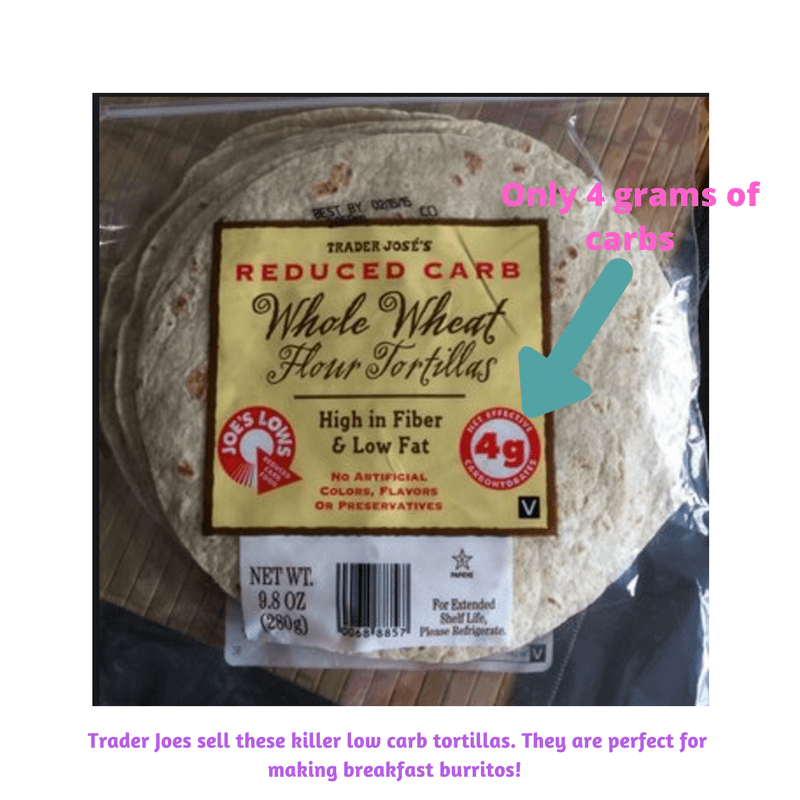 Trader Joes sells eggs that are already cooked – which makes not having a protein with your breakfast not an option for even the laziest of PCOSers! 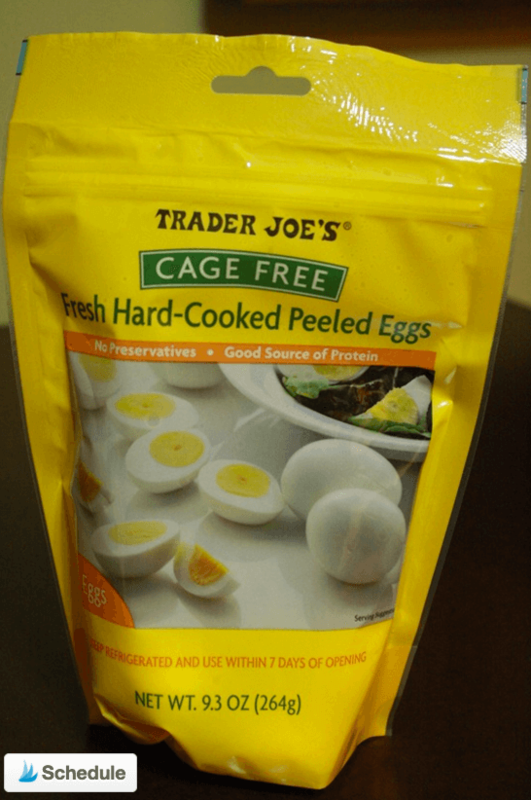 Already cooked hardboiled eggs – what could be easier?!? Breakfast can be such a challenge but it does not have to be. 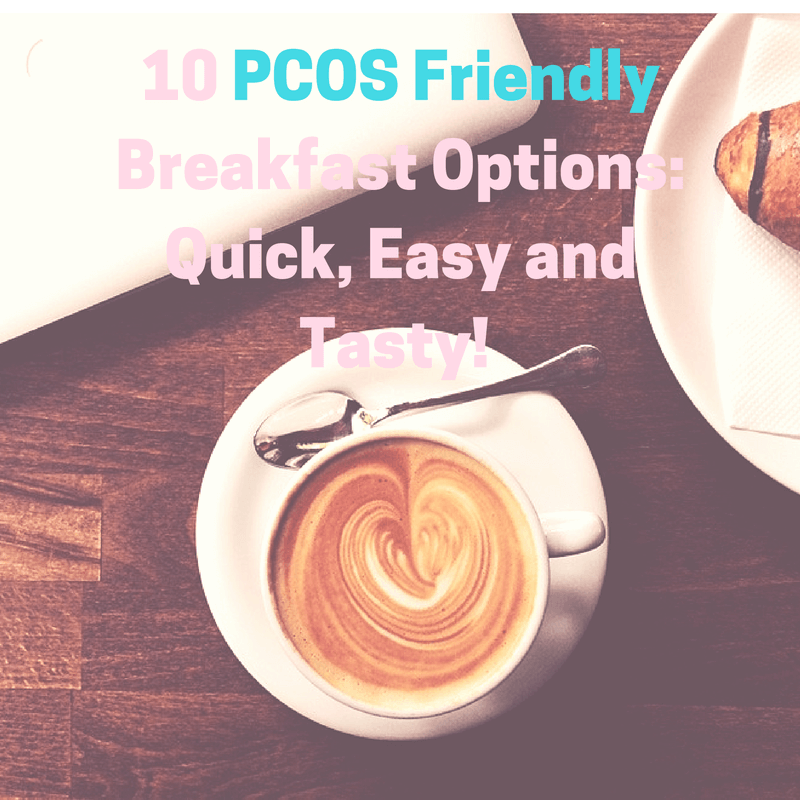 Hopefully these PCOS friendly breakfast options provide you with some food for thought 🙂 As always, if you are looking for other great recipes please visit my Pinterest page and just search for Amy Plano, The PCOS Dietitian. I am a pinning maniac! Got quick and easy breakfast choices you would love to share? I know you do! Please share your breakfast ideas in the comments below. As always thanks for stopping by. To help you make the best decision for your PCOS, I have decided to write a an educational series of blogs on several of the popular protein bars on the market. 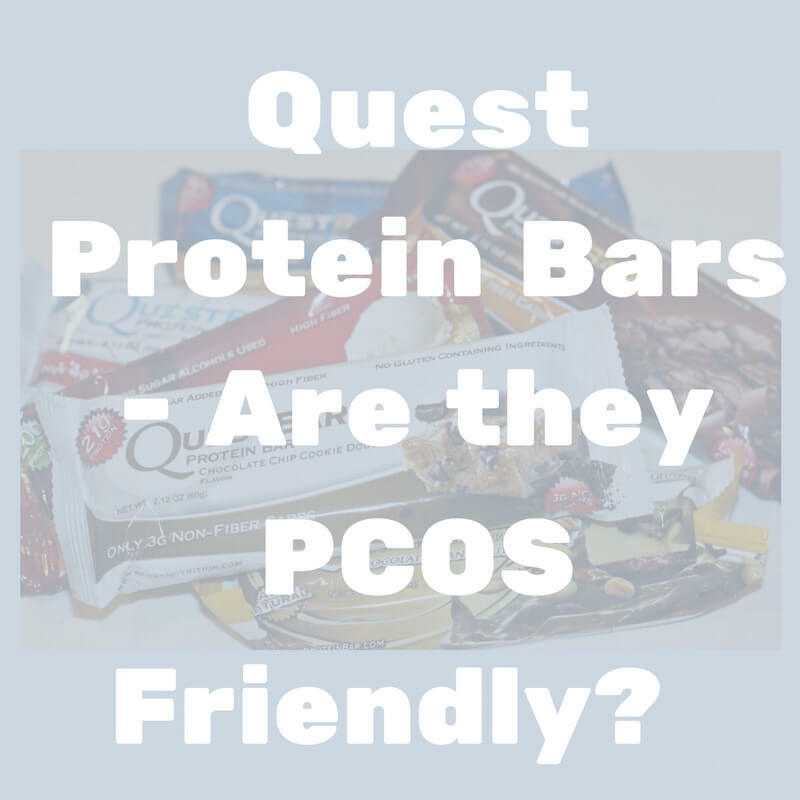 It is my goal to discuss the different bars and explain whether I would give them the PCOS stamp of approval. Please be mindful there are SO many reasons why someone might choose a particular protein bar. However, I am going to do my best to break down the protein bars down into four specific criteria: nutritional profile, ingredients, cost and taste. Each week I will review a different bar and base my review on the same criteria. That way you can make your own comparisons and select the best protein bar based on the information presented. So now let’s go assess our first bar: Quest Bars. Are they PCOS Friendly ??? From a nutritional stand point Quest Bars present the PCOSer with a solid profile. Quest Bars are all about 190 – 200 calories per bar. Therefore, depending upon where someones calorie level is set, I would either recommend a Quest Bar as a meal replacement (in a pinch) or one of their snacks. For women with PCOS who only command a small number of calories, I might suggest splitting the bar into two pieces and consuming as two separate snacks. One of the things I like best about Quest Bars is they are a true protein bar. What I mean by this is they actually have a significant amount of protein in each bar. I know this sounds like a no-brainer when we are talking about protein bars – but you would be surprised how many bars you think are protein bars actually have very little protein in them. In order for me to call a bar a protein bar, it must have at least 15 grams of protein in the entire bar. Anything less than 15 grams is more likely considered a snack bar and not what I would consider a protein bar. Of note – we will be examining bars in this weekly series (such as Kind Bars) that do not meet my true protein bar criteria. 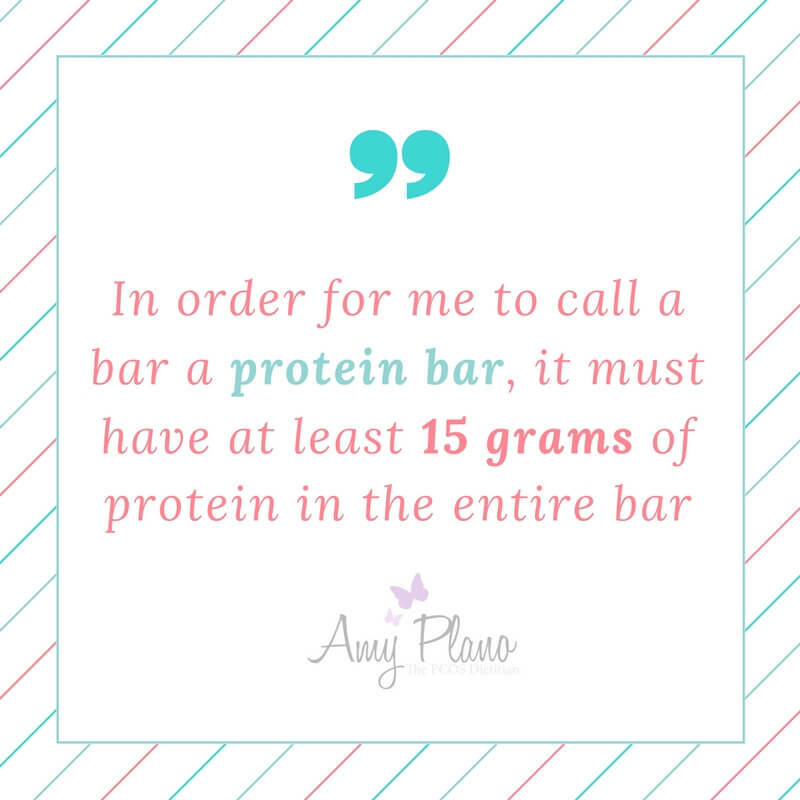 This does not mean a bar is not a good bar if it does not have 15 grams of protein – it just means we cannot really call it a protein bar. So hang tight and we will get to that in the future! I wanted to start with a true protein bar and that is why I chose Quest Bars. Quest Bars have a whopping 21 grams of whey protein! For some women that could account for about 1/4 of the protein they need for the day. Protein breaks down slowly and promotes a feeling of fullness. This is why I often recommend Quest Bars for busy women with PCOS who are on the run. Quest Bars make a great high protein breakfast choice! They are a nice alternative to eggs and/or smoothies. Plus they need a lot less time and effort as well. No blender or cooking skills required! However, be mindful if you are sensitive to dairy or are lactose intolerant you may have a hard time digesting Quest Bars. Due to the fact their main source of protein is whey (which is a derivative of milk!) you may need to consume them with caution if you are sensitive to dairy. Many patients who are lactose intolerant experience cramping, diarrhea and gas when they consume Quest Bars. So just be careful! You know in the world of PCOS we could never talk about protein bars without talking about their specific carbohydrate content. Not only are Quest Bars high in protein, they are also moderate in carbohydrates. I often consider a food moderate in carbohydrates if has between 15 – 30 grams of carbohydrates per serving. Per bar, Quest has only 21 grams of carbohydrates per serving. On most of my nutrition plans for women with PCOS, I allow for around 100 grams of carbohydrates per day. Therefore, Quest Bars can fit nicely as quick meal or snack option in my eating programs. 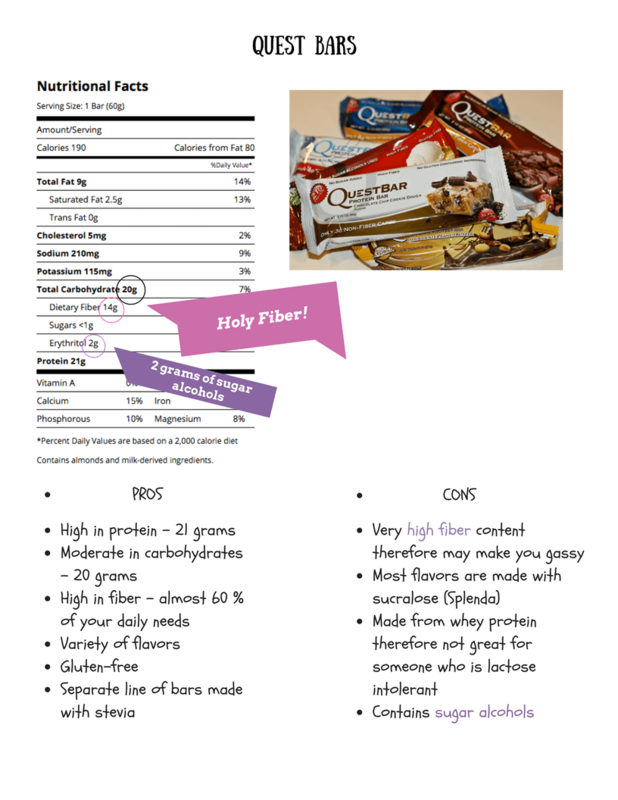 As you can see in the image of nutrition facts below, Quest Bars contain a high amount fiber. They have 14 grams of fiber per bar which is about 60 % of your daily needs. Fiber is a type of carbohydrate the body cannot breakdown. Therefore, it goes out the same way it comes in! TMI! Almost all the carbohydrates in Quest Bars come from fiber. Fiber helps you stay full and keeps your insulin levels low. Fiber can also prevent certain diseases, control hunger, and improve digestive health. IMO is the specific type of fiber Quest Bars contain. IMO comes from plant sources. It is similar to chicory root fiber, having the same texture, feel, and taste. It is also helpful for weight loss. However, with that being said (especially folks with stomach and intestinal issues – such as Crohn’s Disease, Colitis & Irritable Bowel Syndrome) some people have a hard time digesting the large amount of fiber in Quest Bars. So in addition to feeling full, they may also experience significant bloating and gas. If you are one of these people, I would HIGHLY suggest starting off consuming only small portions of the Quest Bar – maybe only a quarter of a bar at a time. While the fiber will do no long term damage, I would hate you to be gassy and bloated – as there is nothing fun about that! 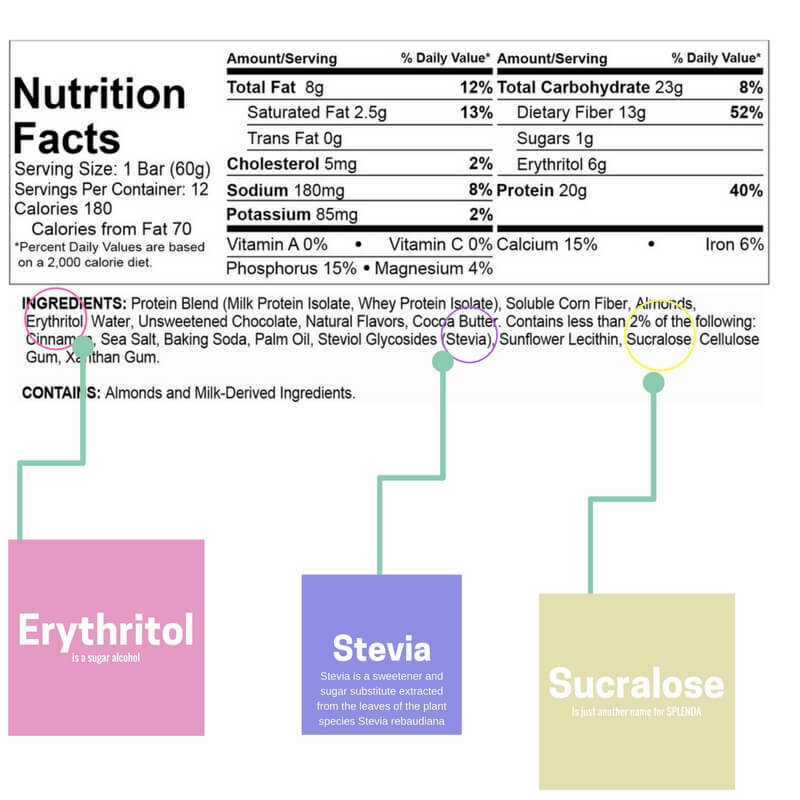 Most Quest Bars contain sucralose, an artificial sweetener, erythritol, a sugar alcohol, and stevia, a sweetener and sugar substitute extracted from the leaves of the plant species Stevia rebaudiana Stevia and sucralose appear in the last of the bars’ ingredients. Sucralose is just a different name for the more commonly known sweetener Splenda. This shows it they appears in small quantities. Splenda appears after other low-sugar sweeteners such as stevia and erythritol. However, there are actually 7 Quest bars that don’t contain artificial sweeteners. Are they the most natural food in the world? Not at all, but you have to pick your battles sometimes. If you do choose to eat a Quest bar, you might want to choose carefully based on the type of sweeteners they contain. Many people ask me my stance on artificial sweeteners. In all honesty, I really have no stance. I truly feel like whether you choose to consume artificial sweeteners is a personal preference. For me personally, the research on the dangers of them is just not convincing enough. On the flip side, that does not mean I am advocating you consume a boat-load of any type of sweetener! However, like everything I firmly believe if consuming a Quest Protein Bar is the worst of your dietary ills then you my cysta’ are in good shape. In future blogs I will dive into some of the research surrounding artificial sweeteners – but for you now all I can say is eat REAL food when you can. Quest Bars are gluten-free. However, with that being said, be careful (as I just noted!) if you do have any GI issues due to the high fiber content of these bars. Quest Protein Bars do contain dairy. But as we will discuss they have a form of dairy that is almost virtually lactose free. Boom! Whey is one of the two major components of milk. It is the liquid part of the milk that separates from the curds (the other major part), during the process of making cheese. However, what we want to zone in on is the type of whey contained in Quest Bars. Quest Bars contain whey isolate. Whey isolates contain a higher percentage of pure protein and can be pure enough to be almost lactose free, carbohydrate free, fat-free, and cholesterol free. So even if you are lactose intolerant, Quest Bars may still be an okay option for you as they tend to contain low amounts of this lactose. Quest Bars are pretty comparable to all protein bars on the market. They are available from every where from Trader Joes, to Whole Foods, to Vitamin Shoppe, Amazon (obviously!) and even gas stations such as Mobile and 7-Eleven. They tend to be the least expensive when bought in bulk on Amazon where you can buy a box of 12 for $23.79 which comes down to about $2.00 per bar. I have seen them in 7-Eleven for anywhere between $2.25 to $3.00 per bar. The Trader Joes near me in Orange, CT sells them for around $2.39. If you find a flavor you love — Amazon is always your best option. I have tried almost all flavors of the Quest Bars. You can order a variety pack on Amazon if you are interested in sampling different types from fruity ones (think Apple Pie & Lemon) to chocolatey ones (Mint Chocolate Chip, Chocolate Chip). The flavor choices are seemingly endless. However, my personal favs are: Chocolate Chip Cookie Dough and Cookies and Cream. I would have to say I like the Cookies and Cream the best as it reminds slightly of eating Oreo Cookies 🙂 I recently tried the Oatmeal Raisin Chocolate Chip thinking that it would taste like an oatmeal raisin cookie – but I was sadly disappointed. Many people who I work with also love the S’mores flavor but I have to say it just does not do it for me. The flavors I like least are the fruity ones such as Apple Pie, Lemon and Mixed Berry. They tend to taste very artificial to me – more so than the chocolate based-bars. I don’t think I could ever finish a whole ‘fruit – based’ bar. It would probably make me sick to my stomach. The texture of these bars is dense and chewy. They remind me a bit of the original Power Bars that first came out in the late ’90s. I cannot say I would ever describe them as ‘light’ such as I might a Power Crunch bar. There is very little ‘crunch’ appeal to them at all. I think this is due to the high fiber content. It is tough to make something appear light when you have put 50 % of someone’s daily fiber requirement into one little dinky little protein bar. Most of the Quest Bars have a somewhat distinct after-taste. Even the ones sweetened with Stevia. It is not horrific by any means. But I would be lying to you if I said they tasted amazing. However, with that being said – they taste better than most of the other bars on the market. But that may not be saying much! Hmmm … this is a tough one. I think Quest Bars are like many foods; they look good on paper, but can they stand up tall among all the categories ? In terms of a nutritional profile, I would give Quest Bars an A/A-. They are solid. They are low enough in carbohydrates (~ 20 grams), high enough protein (20 grams, too!) and wicked high in fiber (13 grams) to fit into the class of being PCOS friendly for sure. The ingredients I would consider somewhat iffy. While there are not a ton of ingredients and fillers like most bars – they still have artificial sweeteners (typically in the form of Splenda) and Palm Oil which is a highly refined saturated fat. For ingredients I would give Quest Bars a C+/B-. I wish they would get rid of the Splenda or at least show more directly that surcralose is really Splenda in disguise. Cost they get a solid B. They are comparable with all the other protein bars on the market. You have to keep in my mind they have 20 grams of protein in most bars which is the equal to 3 ounce of chicken. So if you look at them that way – they are a good value when it comes to getting your protein in. Especially if you don’t love animal protein. Taste the get a B They are not the most horrific tasting bar on the market – but they are certainly not something I would choose to eat all day. I think given the fact they have so much fiber and contain artificial sweeteners it would be virtually impossible for them to taste amazing given their nutritional make-up. So all in all – I would probably rate Quest Bars overall a solid B. Relative to other bars – they will likely score higher – but still not A material. As with any bars no matter what the brand – I would always encourage real food over supplements when possible. However, I am a realist and understand we all live in a busy, fast-paced world where sometimes food prep is non-existent. Quest Bars can certainly ‘pinch hit’ for a breakfast, lunch or snack. But do your best to round out the rest of your diet with clean sources of protein such as eggs, chicken, greek yogurt, cottage cheese, lean red meat and turkey. 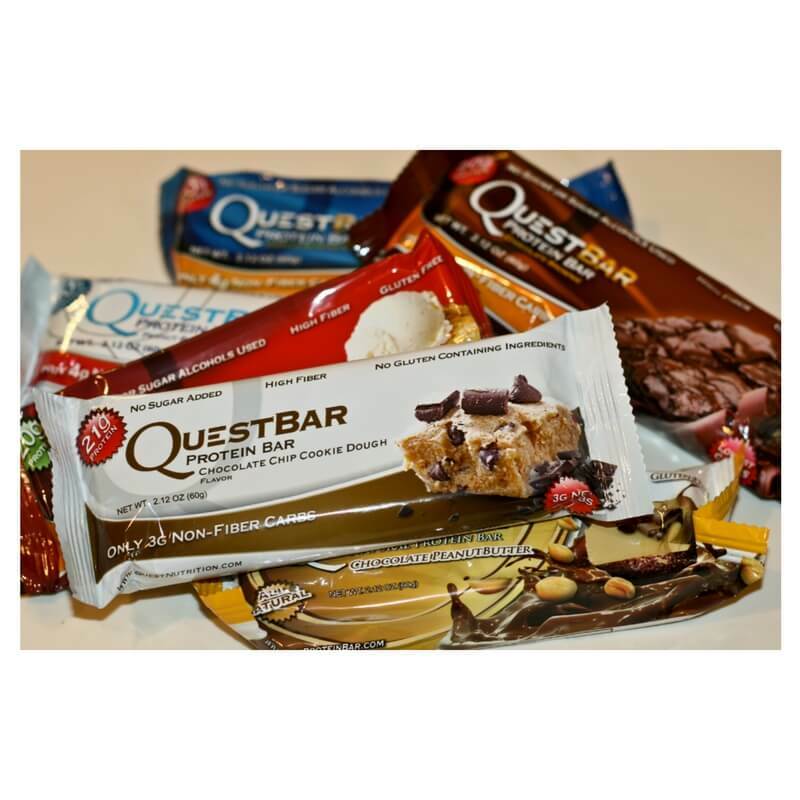 What’s your take on Quest Bars? Love ’em? Hate em’? Have a favorite flavor you are dying to share with our community? Tell us in the comments below. And as always thanks for stopping by! PCOS friendly cereals – Do they even exist? So as a Powerful Chick with Outrageous Spirit I know what you are thinking. PCOS friendly cereals do in fat exist. 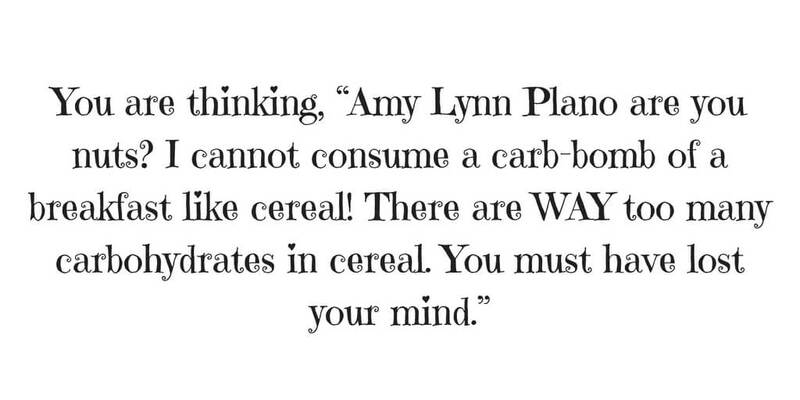 However, while I am certainly not advocating cereals along the like of Lucky Charms and Golden Grahams every day (although those do happen to be some of my favorites!) I do think there can be a place in the diet of the PCOSers for cereal. It is just as important to know which cereals to choose. Time to put our label reading glasses on and get to work. Information on the front of the box can be misleading. A lot of PCOSers look for products that state “low in sugar,” in an effort to watch their carbohydrates. Unfortunately, a cereal claiming to be “low in sugar” might not be as equally as awesome in terms of fat, whole grains, or sodium. 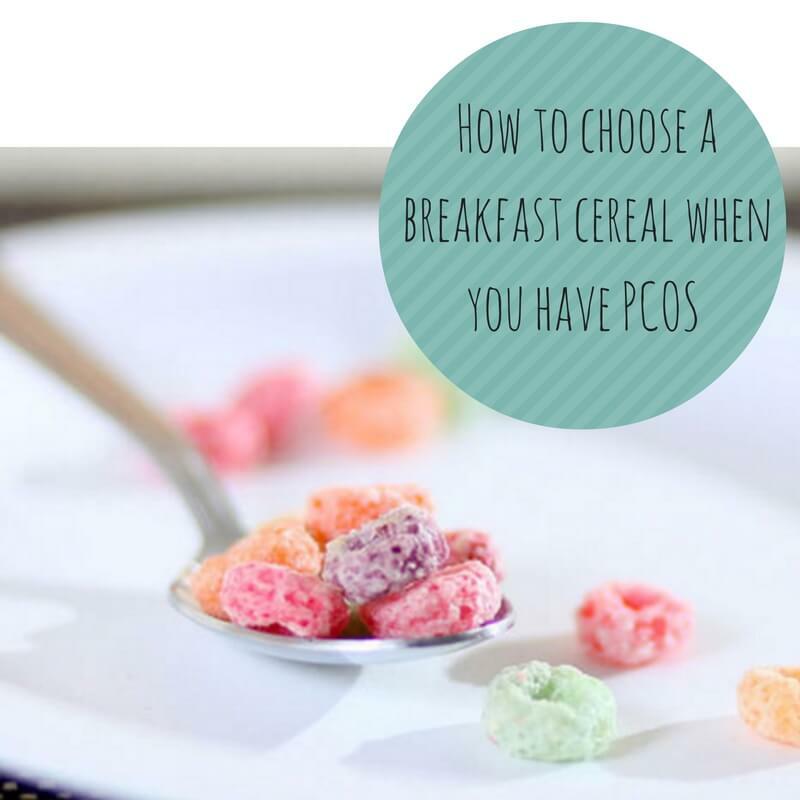 Therefore, it important to read both the nutrition information panel as well as the ingredients to make the most educated decisions when it comes to PCOS friendly cereals. I say it a lot, and I’ll continue to do so: Whole grains and foods that contain whole grains provide a heck of a lot health benefits (especially for women with PCOS!). Whole grains contain all three parts of the grain along with fiber and many other nutrients such as B vitamins, vitamin E and magnesium. Check the ingredient list on the cereal box. The first item listed should be a whole grain. Examples include but are not limited to whole wheat, whole-grain corn, barley, oats, oatmeal, millet, quinoa and wheat berries. The words “multigrain,” “wheat,” “wheat germ,” and “bran” are not necessarily indicators of a whole grain. These terms may simply mean part of the grain is missing. Or in some cases the ingredient multigrain may imply many grains none of which are whole. Sneaky! The health benefits of fiber and PCOS are endless. Research supports that diets that are high in fiber help lower blood sugar, assist with weight loss, lower cholesterol and help us poop. For women with PCOS, I would love for you get at least 30 grams of fiber per day. 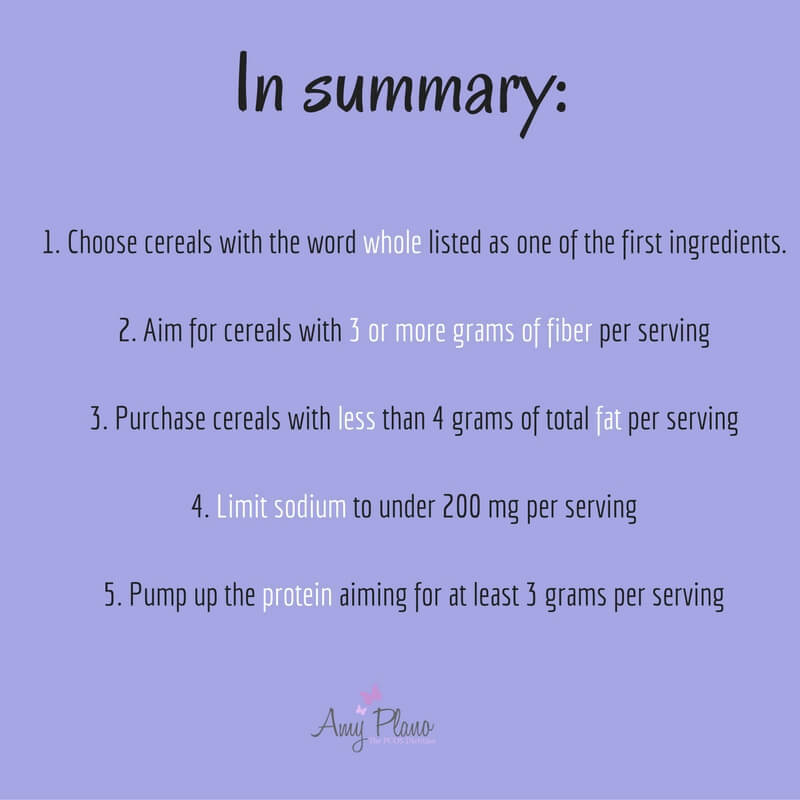 In an effort to meet these goals try to aim for cereal with at least 3 grams of fiber per serving. 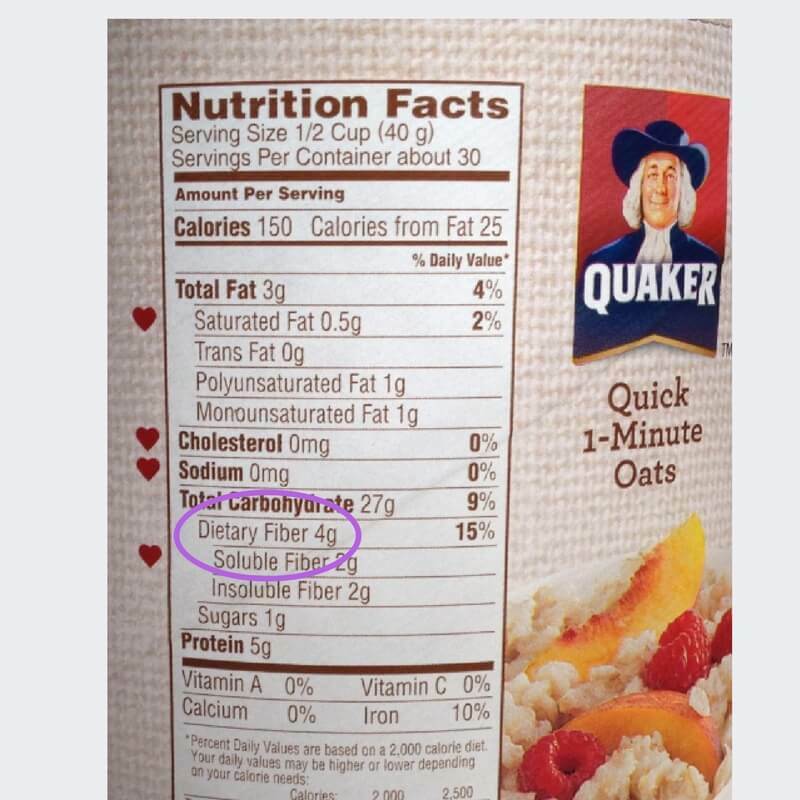 As you can see here, quick 1-minute oats have a whopping 4 grams of fiber. This is an excellent example of a high fiber cereal. Saturated and trans fats are the bad guys. Fortunately for us, most PCOS friendly cereals are low in saturated fat and most have no trans fat. But if you’re a granola groupie, look out, as many granolas may contain saturated fat and contain more total fat than a bowl of French fries! And you thought all granolas were healthy…sadly not. Look for cereals with zero grams of saturated fat and choose those with fewer than 4 grams total fat per serving. As a PCOSer sugar is the first thing that often comes to mind when you hear the word cereal. Given the high sugar content of many cereals you are often better off eating a bowl of crumbled up cookies and milk for breakfast. 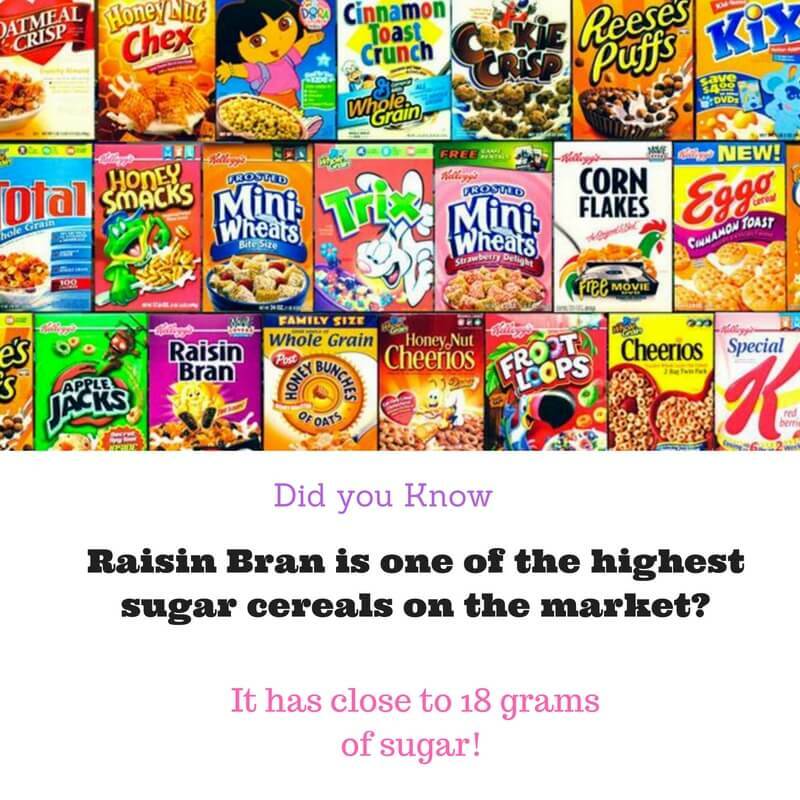 A good rule of thumb is to stick with cereals that have no more than 8–10 grams of sugar per serving. That’s roughly two teaspoons of sugar. Less is even better! Note – In effort to optimize blood glucose control, remember to also look at the total carbohydrate grams (after checking out the serving size, of course), not just the grams of sugar. Try to aim for less than 35 grams of total carbohydrates per serving. But as a matter of principle, it pays to check out the grams of sugar on cereal labels. Protein, as well as fat, plays a key role in extinguishing hunger. Ingesting protein provides staying power, so it may help you control the munchies. Look for PCOS friendly cereals with 3 or more grams of protein per serving. You’ll also get protein from the milk you add to your cereal. By adding 1 cup of 1 % milk to your cereal you are adding 8 grams of protein to your meal. For even more protein stir your cereal into some plain greek yogurt for an extra 12-18 grams of protein. Boom! Cereal is probably not the first food to come to mind when you think about high sodium foods. But surprisingly, some cereals contain some hidden sources. For example, one half-cup of Post Grape-Nuts contains 290 milligrams of sodium. General Mills Wheat Chex contains 270 milligrams per 3/4 cup serving. Stick with PCOS friendly cereals that contain less than 200 milligrams per serving. There is no denying it that you PCOSers love your cereal ♥ But by following the above guidelines you can steer away from cereals that damper your metabolism and choose those with some nutritional merit. As a rule of thumb I would recommend that women with PCOS consume cereal no more 1-2 times per week. While it certainly does have some nutritional value, there are other more quality breakfast foods I would love you to choose. This will likely be one of my longest posts – but I think one of the most resourceful blogs! One of the questions I get asked a lot is, “How do you determine how many carbohydrates are in specific foods?” We can always read the label. But what happens if our food (or beverage) doesn’t have a label? Like champagne! Champagne does not have a label right? [Side note – if you want to be in the know on the carbohydrate content of all alcohol click HERE to get the 411. I wrote a killer blog on this very topic!] 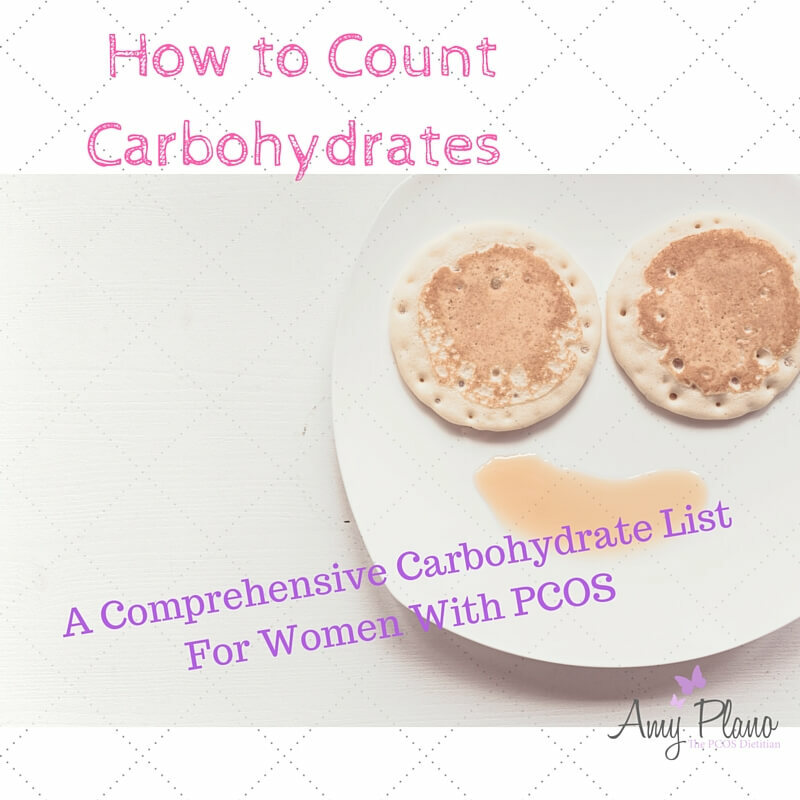 Well, that is why exactly I created this fancy guide to counting carbs for women with PCOS. 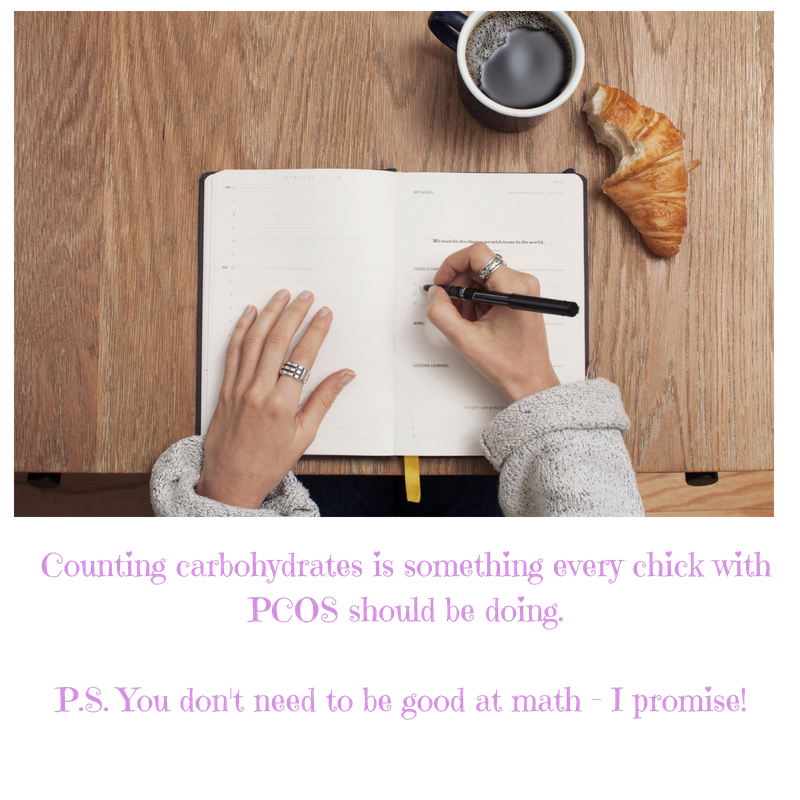 If you have ever been in a PCOS nutrition session with me, you know I’m like a carbohydrate calculator. Throw any food my way and I can tell you how many grams of carbohydrates are in that particular food. But no worries if you’re not a freak show like me 🙂 That is a-okay! This list is by no means all-inclusive – but I think I cover the majority carbohydrate containing foods most people eat. If a food is not listed — a great resource which I use all the time is www.calorieking.com . This website is awesome! You can download the app and have the carb count of all foods at the tap of a button! And extra bonus – it is FREE! You have probably heard me reference that I often recommend a total intake of carbohydrate for most women with PCOS to be between 90 – 140 grams per day. You can use this list below to see how close you are coming within those targets. To be fair – I never count the carbohydrates that are in non-starchy vegetables. The only ones I do count are the starchy vegetables, peas, corn, potatoes and the winter squashes. All other vegetables have about 5 grams of carbs in each 1/2 cup. * carbohydrate content may vary from brand to brand, always read the food label if there is one!